I got a Surface RT, can I install iTunes on my Windows tablet Surface RT? I can transfer iTunes movies to Windows tablet, but I can’t watch it, why? How to play iTunes movies and music on Windows tablet (Microsoft Surface RT/Pro, Acer Iconia W7/W5/W3/W500/W700, Asus VivoTab RT/Vivo Tab/Vivo Tab Smart, Surface 2/Surface Pro 2, Dell Latitude 10 Essentials/XPS 10 etc)? Last month I shared a tips for geting iTunes on Android tablet/smartphone, today I’ll help Windows tablets users solve the Windows 8/RT/Pro iTunes problem. Help all Windows users succeed in playing iTunes on Windows tablet. Can we free download iTunes app for Windows tablet? For the past ten years, Apple’s iTunes has been the go-to music and video manager for Windows and Mac users. iTunes is a hot App for us to get more fun. For Windows users, we can enjoy iTunes on our PC, but if we use a Windows RT/8/Pro tablet, however, iTunes is not available to us, a touch-centric version of Apple’ s desktop software has yet to appear in the Windows Store. There’s one major piece of software that won’t have a Windows 8 version anytime soon: iTunes. And, according to Microsoft, the ball’s in Apple’ s court. So, we can’t download iTunes for Windows tablet, let alone install iTunes on Windows tablet. How to play iTunes on Windows tablet? Well, we can’t install iTunes on Windows tablet (Surface 2, Surface Pro 2 etc. ), can we play iTunes on Windows tablet? Perhaps you have a bunch of movies and music in your iTunes library and now you’ve got a new Windows tablet/phone. Want to play iTunes movies on Windows tablet/phone only to find you cannot do that? What’s the matter? Well, one possible reason is that your movies (usually M4V format) are purchased from iTunes Store and are protected by Apple’s FairPlay DRM system. Another reason is that iTunes MOV and M4V are not supported by most Windows tablet. To play iTunes videos on Windows devices, you need to convert iTunes M4V movies to Windows tablet friendly video formats like MP4, convert iTunes music M4A music to MP3 for Windows tablet Here we’ll show you an easy way to transfer movies/music from iTunes library to Windows tablet or phone. 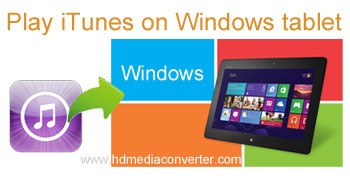 iTunes to Windows tablet Converter is you best choice. Free download iTunes to Windows Tablet Converter Trial Version. Tip: With Acrok Video Converter Ultimate, you can convert common video files, DVD movies and Blu-ray for Windows tablet. Remove DRM from iTunes any video and music for Windows/Android tablet. Convert iTunes DRM protected and unprotected video/audio files for Windows/Android tablet. Export video to Apple/Windows/Android tablets and phones, Ps4, Xbox One etc. 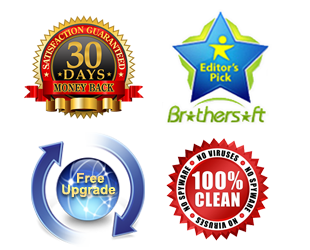 Convert all formats to any common formats. How to convert iTunes media files for Windows tablet? Step 1: Add video. Click “Add…” to load iTunes movies/music to iTunes to Windows Tablet Converter. Step 2: Choose output format. Here we recommend you choose MP4. For converting music, you can choose MP3 as output format for Windows tablet and phone. Step 3: Click “Start” button to start converting iTunes movies/music for Windows tablet/phone. Step 4: After conversion, you can click open folder icon to locate converted media files. Transfer these files to your Windows tablet/phone via USB cable. How to get iTunes movies and music on Lg G2?